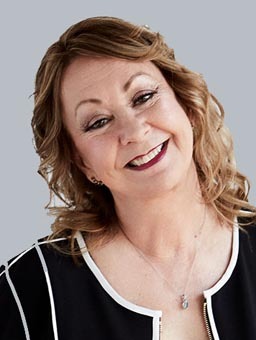 If knowledge of the area, knowledge of the business, years of experience, support from the best office around, and a great sense of humor is what you’re looking for in a REALTOR®, then Sue is the agent for you! Customer satisfaction and a job well done is what keeps Sue Harvey Morris in the real estate business. Sue’s been serving her customers with experience, knowledge and humor since she was licensed in 1972, she has had hundreds of satisfied customers in the Dallas-Fort Worth area. Sue has been with CENTURY 21 Mike Bowman, Inc. since 1979. During that time, she has received the Best All Around Agent Award. She has also been a Multi-Million $$ Top Producer. She has also received the FIVE STAR Real Estate Agent – Best in Client Satisfaction for 2004! Awarded by the Fort Worth Business Press. Sue holds memberships in the following professional organizations: Graduate of the Real Estate Institute, Women’s Council of REALTORS®, and Certified Residential Specialist. When Sue isn’t out listing and selling homes, she enjoys sewing, staying fit, and spending time with her four adult children and her rescue dogs; Rufius a German Shepard, Chole and Cleo. I’ve been through many REALTORS. Some where young, some were inexperienced, and some just didn’t care (or, at least , that’s what it seemed like). Everyone recommended someone or had different ideas as to what my next step should be, but I did my research and Sue just seemed like the perfect person. Others gave up on me but not Sue. Sue hung in there with me! Her quote, “My Promise is to ALWAYS put YOUR NEEDS before my own.” is really true. I can see why she is so successful. Sue did what I was beginning to think was impossible. Sue is AWESOME at what she does. I will DEFINITELY recommend Sue to my friends. We couldn’t have done it without you! Thanks a Million, you’re the BEST! I wanted to tell you what a wonderful agent you have by the name of Sue Harvey Morris. She is an exceptional lady; dedicated, concerned, and an excellent salesperson to work with. She sold my townhouse after 2 other “top agents” could not! I have the highest regards for this talented young lady. Sue recently handled the sale of my 93 year old mother’s home. Sue handled everything in a professional manner. She was also very kind and helpful in everyway. I would not hesitate to ask her to handle any future home sales or recommend her to anyone else. “. . . Thank you for selling and handling my town-home so professionally. The experience was a pleasure”. I wanted to write to let you know what an asset your business has in Sue Harvey-Morris. During the entire process of selling our home, Sue was outstanding the whole way. She made sacrifices in time and money that I know most other REALTORS wouldn’t make. In our eyes, she is the best. We not only consider her our lifetime REALTOR but also a friend. With people like Sue, its no wonder you have the most successful real estate business in the metroplex.